Looking for Marbella Sport & Adventure? Fun Marbella sport and adventure activities are plentiful so there is a lot to choose from. 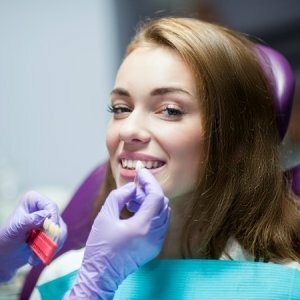 Click on any link below to get detailed reviews. 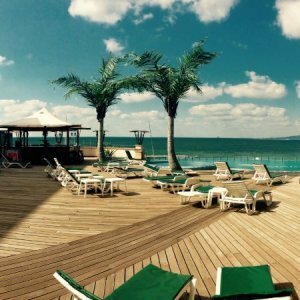 This page is dedicated to those looking for a more extreme experience while in Marbella. 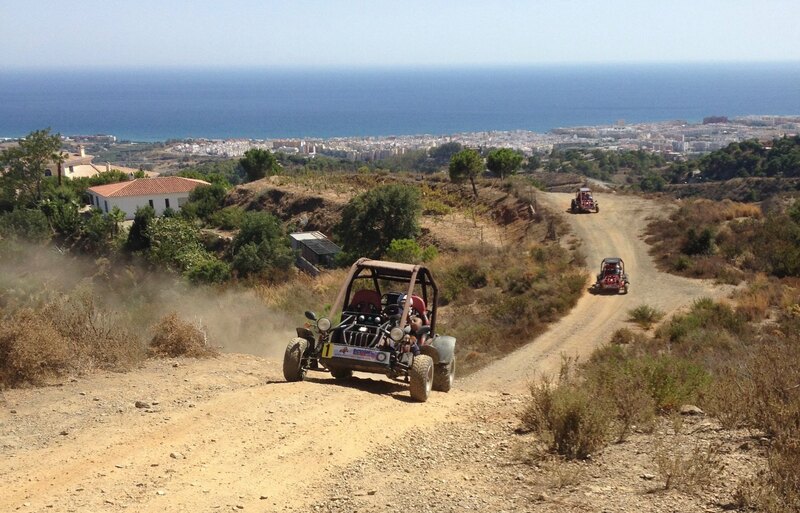 Whether you are into an off-road buggy adventure or sphering, you're guaranteed to have a great time in Marbella. 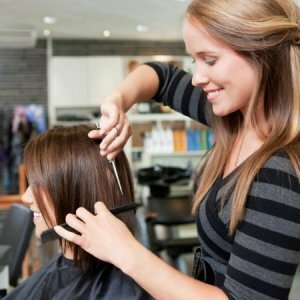 Looking for new ideas? 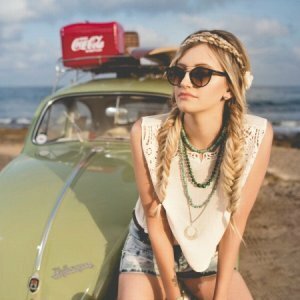 Check out our Free Marbella Adventure & Sport E-Guide for the latest update of recommended things to do in and around Marbella. 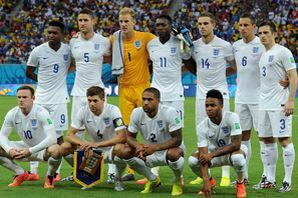 For more information on specific programs for kids, visit the Schools & Clubs page for more reviews on sport clubs and our Family Sports Forum for more information on Marbella sports and Costa del Sol sport related questions. The listings below represent companies and venues that have been recommended by our readers. 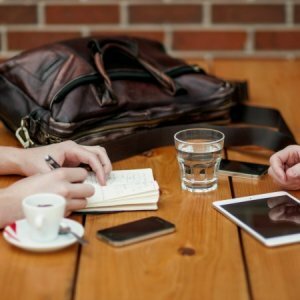 Have you got a great adventure story you'd like to share? Let us know about it by using our Share a Tip feature in the function bar, above. 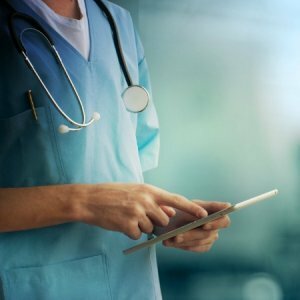 We'd love to share your experience with the community. 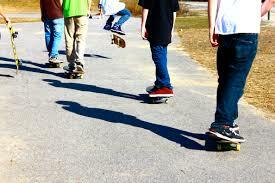 Alex’s Skate School is where kids can learn how to enjoy skating in a fun and safe environment. Skateboarding is a nice hobby that not only is fun for kids, it also enables them to experience the thrill of developing a skill which they can use anywhere. 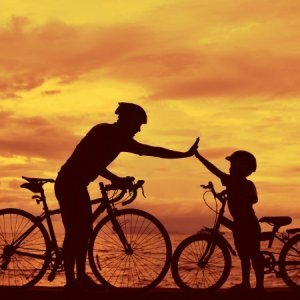 G2 Move Bike Rentals located on the boardwalk near central Marbella offers a wide selection of bicycles for family touring along the Costa del Sol. 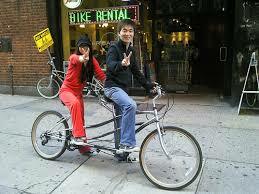 Tandems, child seats, mountain bikes, pedal buggies, even electric bikes for all ages. Skydive Spain in Seville only 2.5 hours from Marbella. 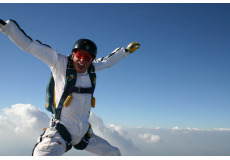 They give you the best experience, whether on holiday fun jumping, want to take an AFF course, experience a Tandem Skydive, participate in Team Training or take part in one of Skydive Spain's events. Marbella Buggys are a great way to see parts of Marbella you would never have the chance to access otherwise. They have top-of-the-line buggies and amazing off-roads tracks where you can test your driving skills. 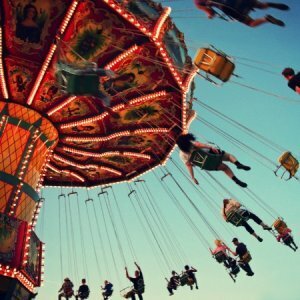 Kart 4 Fun will provide you with a true adrenaline kicked experience whilst visiting the cutest villages and best places around. Must hold a valid driving licence. 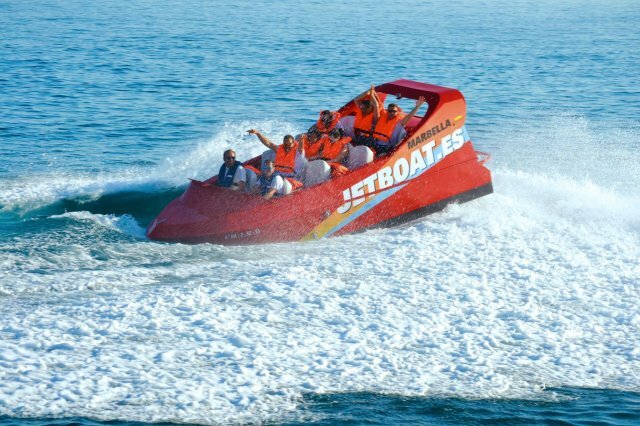 Jetboat Marbella is for those looking for an adrenaline rush, fantastic views of Marbella and lots of fun. 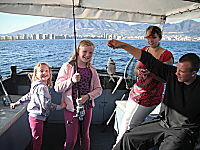 If you've always wanted to get on a boat and see how Marbella looks from the sea, this is a fun way to do it with the whole family. 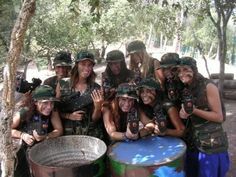 Paintball Estepona is a great way for kids and adults alike to don helmets and paintball rifles and challenge teams to capture the flag or imagine themselves on an alternative world. Canyoning is a fantastic way to cool off during the hot summer months. A guide will get you equipped and meet you at a location where you can float down a river on your back and take in the sights and sounds of the country. 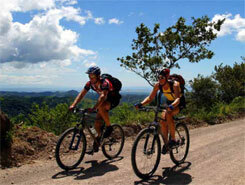 Mountain Biking Tours on the Costa del Sol are among the best ways to see the back country and wilderness. There are thousands of kilometres of easily accessible trails that will impress all ages and skill levels. 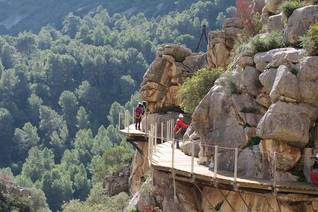 El Caminito Del Rey is a path that is said to connect hoards of historical treasures and gorgeous scenery" in the middle of the province of Malaga. 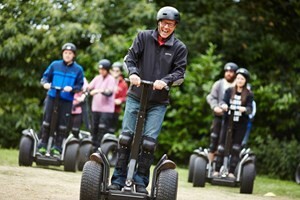 Off-road Segway Tours are the latest in adventure activities. The rugged, self-balancing vehicles allow you to experience the wilderness while standing up and effortlessly gliding over terrain. 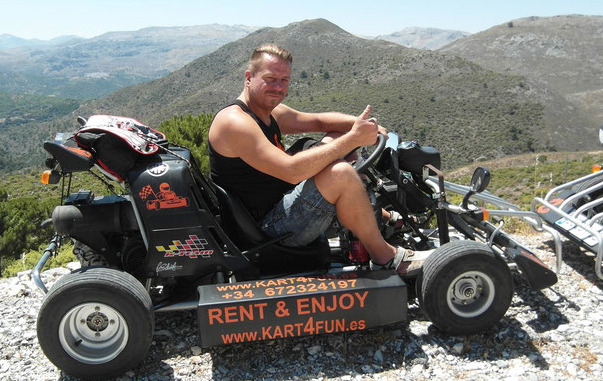 Go-karting in Ronda is also available in case you are heading up to the hills for tourism. A great way to break up the trip with the family after you have visited some cultural sites! 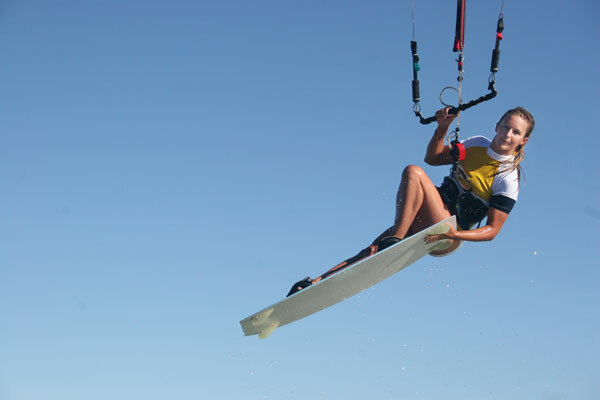 Kiteboarding is not only an amazing way to see the entire coastline of Marbella but its an incredible workout. Kiteboarders can be spotted all over the Costa del Sol. Dolphin and Whale Watching is a great way to get out on the Mediterranean Sea and experience the beauty of these majestic and graceful creatures who call the coastline of the Costa del Sol their home. Fishing is a dream here on the Costa del Sol. The proximity to the Atlantic Ocean make this part of the sea ideal for numerous species that you won't find anywhere else in the world! Car racing is something for those who love to get behind the wheel of a powerful vehicle. Private tracks mean you can test your skills by pushing yourself to the limit. 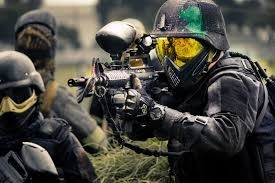 Laser combat is a strategy game where teams equip themselves with laser rifles and challenge one another in a variety of scenarios. Unlike paintball, there is no mess to clean up afterward. Marbella Rent A Bike is well known in the area for being able to deliver the full range of rental services of high quality bicycles. They offer a convenient pick up and delivery service that maximises your enjoyment time on the bikes. 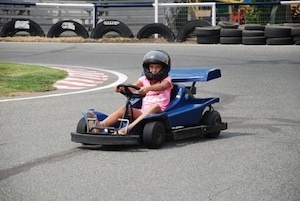 Go-karting is a favourite past time for kids and adults alike. There are private courses near the centre of Marbella which offer powerful karts for all ages to test their driving skills. 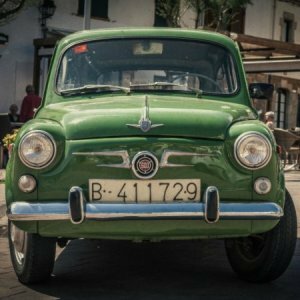 Off roading and Dolphin / Whale watching is something that many don't realise there is in abundance on the Costa del Sol. The climate and terrain make the local conditions ideal. 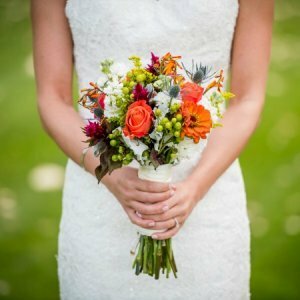 Eco-tourism is for those who appreciate nature to its fullest and take care not to disturb the environment as they take in the flora and fauna to the fullest extent possible. Sphereing - Marbella & Benalmadena is absolutely out of this world! 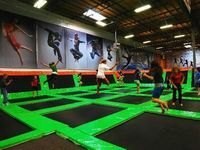 Imagine yourself in the centre of a giant inflatable ball rolling down a hillside in a virtually indestructible state. Not for the faint of heart - or stomach! 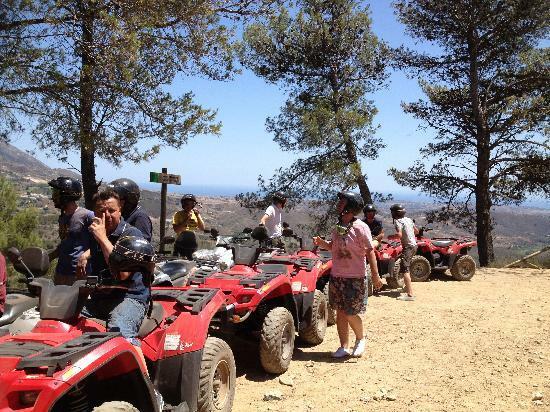 Quad Tour - Fuengirola is a great way to see the amazing outdoor beauty of the Costa del Sol. Local hires offer powerful vehicles that are ridden by licensed individuals. 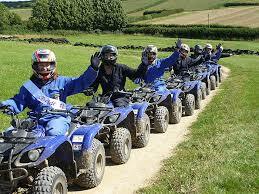 Quad biking is a great way to see the amazing outdoor beauty of the Costa del Sol. Local hires offer powerful vehicles that are ridden by licensed individuals. 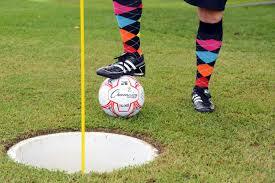 FootGolf Marbella is an easy and fun game that everyone can play. It consists of playing by the rules of golf a 9 or 18 whole golf course that has been modified creating larger whole for footballs instead of golf balls and clubs. FootGolf also has an executive board for those that wish to play professionally. Spanish third league football at U.D. Marbella Discover Marbella football at the municipal stadium with the U.D. Marbella Sport. Spanish first league football at Malaga stadium here you have a unique opportunity to see Spain's top teams attending a game of the Malaga football club from Marbella sports. 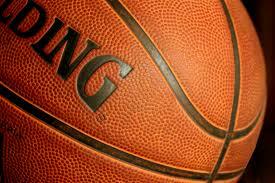 Spanish first league basketball at Unicaja stadium Malaga Unicaja organized different basketball games every year. Marbella Sport clubs. Where to buy Malaga football tickets.